The first floor of the Halim Time and Glass Museum is devoted to nineteenth and twentieth-century stained glass made by American artisans. Colorful, oversized panels are displayed in two exhibits—The Treasures of Louis Comfort Tiffany and the American Stained Glass Masters. Tiffany & Co. began as a stationery and fancy goods store opened by Charles Lewis Tiffany and John B. Young in 1837. At the 1867 Paris World’s Fair, the company was awarded the grand prize for silver craftsmanship. From that point forward, Tiffany & Co. was recognized for its luxury items. After Charles Lewis Tiffany died, his son, Louis, became the artistic director of the company while simultaneously continuing to design lamps, mosaics, enamels, ceramics, and stained glass windows under the Tiffany Studio brand. Louis’s work was a focal point at the 1893 World’s Columbian Exposition. This Chicago World’s Fair introduced Louis’s work to an international market. For fifty years, Louis’s company created thousands of stained glass windows, many of which were religiously inspired designs for churches, while others were ornamental windows for private residences. The American exhibit highlights many of the innovative techniques initiated by American artists. The more than 30 pieces on display reveal how the American craftsmen deviated from their European peers and created new methods that enhanced their work. Signs single out these pioneering approaches to stained glass windows. 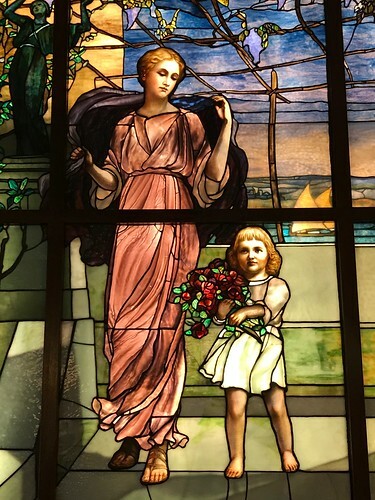 One of my favorite pieces is a copper foil constructed Tiffany window titled Woman with Daughter. It dates back to 1900. Instead of painting on the glass, the artists created more depth by using color, texture, and opacity. Newer American inspired techniques enabled the artist to create shadows on the floor and produce the impression of dresses moving with the breeze. 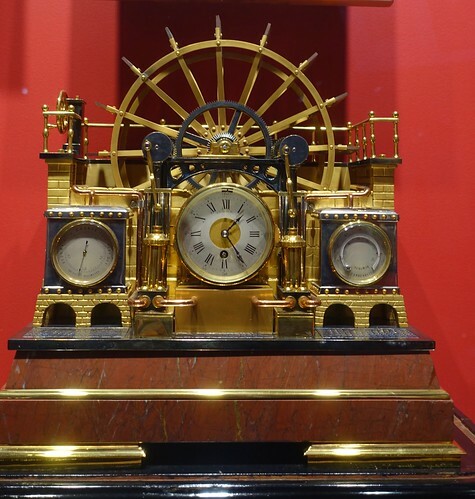 The second floor of the museum has exhibits showcasing the history of time from sundials to quartz movements. 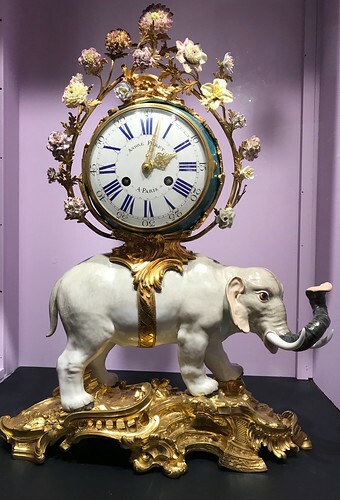 Visitors begin their journey in the early period and then move through rooms dedicated to specific themes—British Clocks, Chronometers, French Clocks, Asian Clocks, American Clocks, American Pocket Watches, and Early Clocks. The collection is impressive and the signage is exceptionally informative. 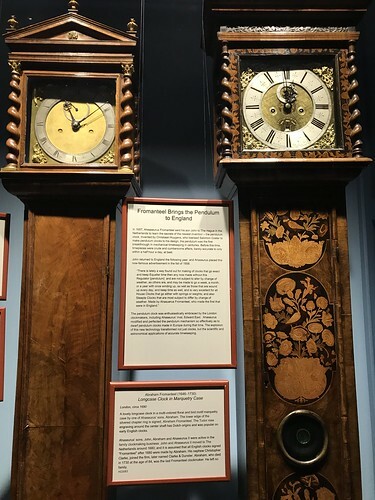 While I’ve always been fascinated by pendulum clocks, I didn’t anticipate ever seeing any grandfather clocks that dated back to the 17th century. Some smaller clocks resembled pieces of artwork crafted out of porcelain, marble, or precious medals like gold and silver. Other clocks were embedded in notable objects. One could easily lose track of time and spend hours learning about the history of clocks. 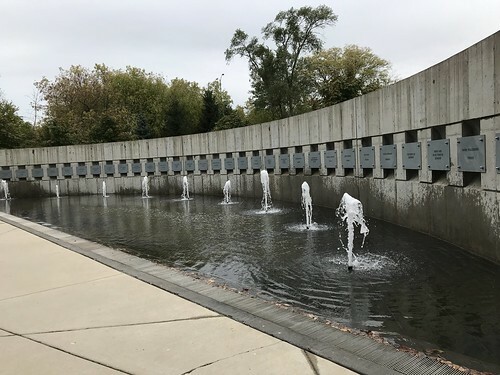 The Illinois Holocaust Museum and Education Center is the third largest Holocaust museum in the world. 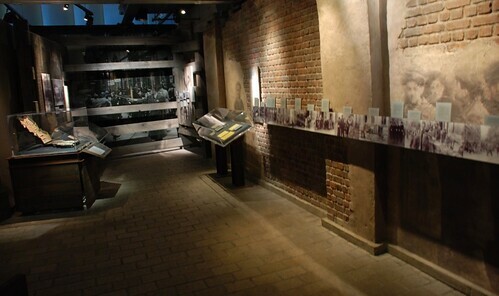 The Zev and Shifra Karkomi Holocaust Exhibition is the main attraction. Visitors can wander through this comprehensive exhibit at their own pace or take a docent-led tour. Be prepared to view hundreds of artifacts and photos, read documents and display signs, and watch short videos. We were told that most people spend two to three hours in this section of the museum. Great care was taken in creating an interactive space for children aged eight to twelve. 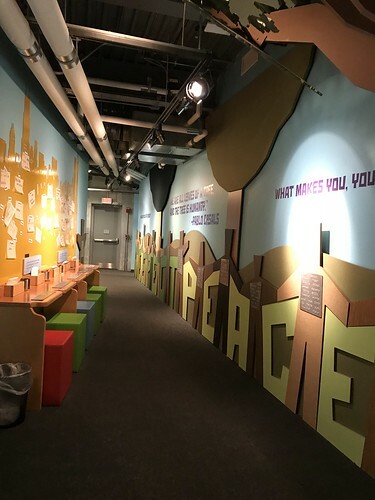 The Make a Difference exhibit emphasizes an awareness of individual differences and the importance of making unbiased decisions. With the decreasing population of Holocaust survivors, The Take a Stand: Abe and Ida Cooper Survivor Stories Experience gives visitors a chance to interact with a holographic survivor who discusses parts of his Holocaust experience. A moderator fields questions from the audience and the technology provides the survivor’s realistic answers. Don’t forget to stop in the Room of Remembrance, a circular shaped room with six skylights representing the six million Jews who perished during the Holocaust. Names written on the walls in English, Hebrew, and Yiddish remember a fraction of these people. This uniquely designed space provides an opportunity to reflect on one’s thoughts. Periodically, the museum hosts special exhibits. It’s best to consult the website for a current list of events. 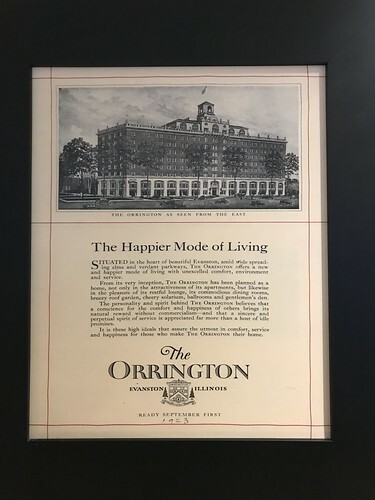 The Orrington Hotel debuted on September 22, 1923, boasting that it was “Evanston’s Finest Luxury Hotel.” With a price tag of 2 million dollars, few denied this claim of the new building named in honor of a co-founder of nearby Northwestern University. Over the decades, the ownership of the hotel shifted from one entity to another, and renovations were made accordingly. The Hilton Family brand of hotels acquired the hotel in 2010 and renamed, the Hilton Orrington Evanston. The hotel is a member of the Historic Hotels of America. 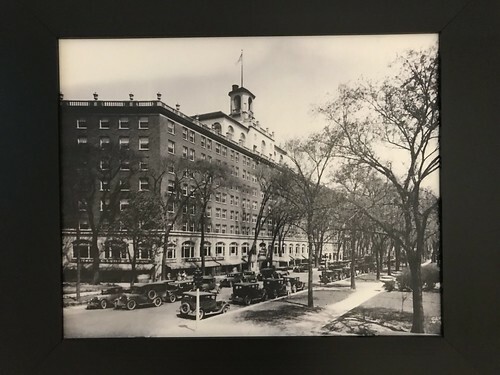 Unlike other historic hotels that promote their landmark status by hanging photos that retell the hotels’ past, this hotel only shared a couple of reminders of the building’s history in its modern lobby. One titled “The Happier Mode of Living” announcing its opening in 1923, and a black and white photo from the hotel’s early years, both are located near the entryway. When asked about the hotel’s history, Kathy Koestring, the senior sales manager, mentioned a time when the hotel had an ice cream parlor, housed a radio station, and the North Shore Room was a private club where members could store their illegal liquor and drink during Evanston’s long history of strict liquor laws. The hotel’s location provides easy access to Chicago, Northwestern University, as well as the North Shore’s main attractions. The updated rooms reflect an earlier time when guestrooms and bathrooms were relatively small. One can easily stop to admire Lake Michigan at many prime locations along the North Shore, including Grosse Point Lighthouse. Near Centennial Park, one can wander to Lighthouse Beach. During the off-season, this beach is not open for swimming. 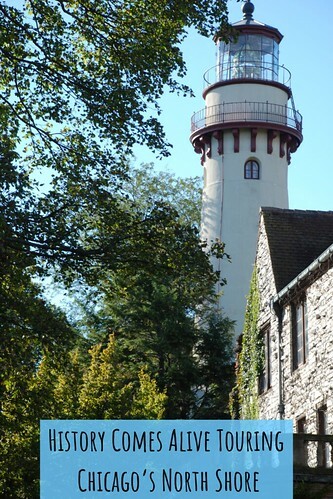 From June through September, it is possible to take a tour of the lighthouse for a modest admission fee. 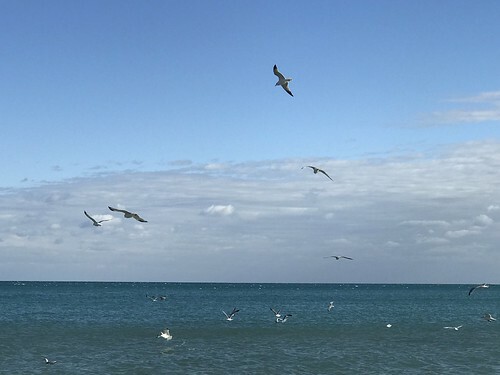 After a series of severe and deadly 19th century shipwrecks near Grosse Point, the residents of Evanston petitioned Congress for a lighthouse. This was the time when Chicago was America’s busiest port. The 113-foot tall structure was completed in 1873 and became operational in 1874. It was encased in reinforced concrete in 1914 and underwent several technological updates to increase its effectiveness. The restored lighthouse was listed on the National Register of Historic Places in 1976 and designated a National Historic Landmark in 1999. 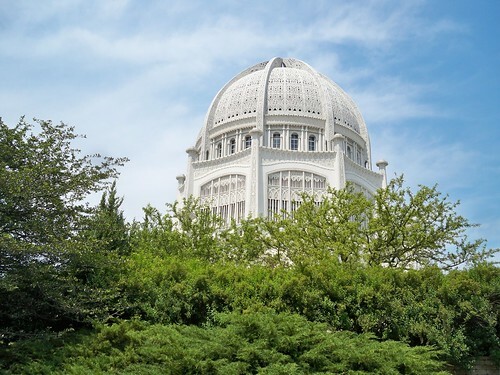 If Chicago residents are asked to identify one north suburban landmark adjacent to the lakefront, the response would unequivocally be the Bahá'í House of Worship, frequently referred to as the Baha’i Temple. It is one of only nine Bahá'í temples in the world. The ornate, domed, nine-sided building took 50 years to complete and was financed by congregants around the world during two World Wars and the Great Depression. The temple opened in 1953. The architect, Louis Bourgeois, utilized a combination of eastern and western architectural styles and symbols from the major religions. Nine mature gardens with fountains and pools enhance the manicured landscape. The temple auditorium is open 365 days a year. A welcome center provides information about the religion, the grounds and the building set on a suburban street. The “Temple of Light and Unity” was named a National Historic Landmark and one of the Seven Wonders of Illinois. 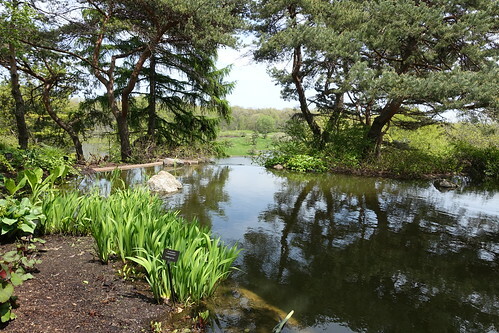 The Chicago Botanic Gardens considers itself “a living museum—in all four seasons” and a place where people can become more aware of nature. While technically, a garden doesn’t fall under the category of a historical attraction, visitors who stroll through the 385-acre garden leave with an enhanced appreciation of horticulture and the healthy interaction between man and the vegetation growing in the ground. Keep in mind that admission is per vehicle and there is a senior citizens discount on Tuesdays. For an additional fee, tram tours are available from late April through October for people who would like an overview or narrated tour. The website is a perfect place to start planning a visit with many useful tips for each season. History can come alive in so many unexpected places. Chicago’s North Shore offers plenty of opportunities to learn more about the world. While I left suburban Chicago almost two decades ago, I continue to search for historical places whenever I return. The above-mentioned places were the highlights of my last trip to the northern suburbs.